Since I got married, I ventured out to find a recipe that would work for me. Mom's recipe was her own.... a basic cozonac recipe with the additions of a little of this and a little of that until it felt just right. I tried many recipes and have finally come up with my own version. This version works for me , though I am always on the lookout to better improve it! My husband loves this version as it has quite a bit more nut filling than others. This sweet bread dough recipe makes 2 loaves. This time I doubled the recipe and made four loaves. I also doubled the filling. I find that freezing the loaves makes them moist and not dry. So, I freeze mine before cutting into it. Though we have often had them warm, right out of the oven as well. Update 2: I sort of felt the need to update a few photos of the cozonac I make now( still left most of the old photos for memories sake:)... but I now make the jelly roll in 2 pieces and twist...top photo is of 2 jelly rolls(from 1/2 of the dough), twisted and formed in an oval(the shape of the letter O) before placing in pan. NOTE: Cozonac, in general, isn't such an easy recipe. I have to say that my version has quite a bit of filling...so there might be the chance of having the cozonac "fall" or have a hole in the middle. I haven't deviated from this recipe for years....but there are a few tips worth mentioning(some are mentioned throughout the post as well)...to help you out, especially if you are making it for the first time. make the filling a day before....this allows it to cool completely... and you aren't rushed when making the dough., just bring the filling back to room temp. try not to double the dough recipe and cook 4 loaves of cozonac on the same day...unless you have a professional oven that can take all four loaves at the same time and you have extra help( basically while the first couple of loaves bake, the subsequent loaves can over-rise)or stagger the baking through out the day. the dough sometimes takes a bit longer to rise than what I listed.... time is written only as a reference, you want the dough to be doubled in size. braid the dough...this helps quite a bit with minimizing "tunnels". recipe uses instant yeast so if your house is especially warm, the dough will rise much faster, so keep that in mind...especially after it has been placed in the loaf pan. try not to underbake...cover the cozonac(lightly) with tin foil so that it doesn't burn...leave it in the oven a bit more rather than less...if in doubt, lower the heat towards the end, if need be. have the kitchen warm.... changes in temperature can cause the cozonac to fall. bake the cozonac in the bottom third of oven(especially when you have an electric oven) ...as baking it close to the top heating element will make the top of the cozonac dough rise too fast and can cause the cozonac to fall later. leave the cozonac to cool down in the pan...at least most of the cooling down. I most often use a butter knife to release the the sides of the cozonac as well. lay the cozonac on its side for a few minutes when cooling the cozonac....and then switch it on its other side for a few more minutes. Even after abiding by these tips...things can happen... even to experienced bakers. So, don't expect perfection. But hopefully, you will enjoy it. Regardless if there's a hole in the middle or you have tunnels. The cozonac will still taste delicious:). * I used extract and cut down on the amount... I will use .5 oz rum extract for the bread dough and .5 oz rum extract for the filling...that is a total of one bottle(1 oz) of rum extract. I sometimes add a splash or two of vanilla as well:). 1. In a saucepan, melt sugar in milk. 3. Add cocoa and flavorings. Cook some more to the point that the filling is paste-like. (I think that if the filling is too wet it can cause quite a bit if steam in the final baking stage...causing the cozonac to fall). 4. Set aside to cool....it should thicken even further as it sits. 5. Since I doubled the recipe, I split the filling into 4 equal parts...but you should have 2 equal parts....if you are not doubling it. If you want, you can limit the amount of filling you use, and keep the rest for another time.... or use your favorite filling. 1. 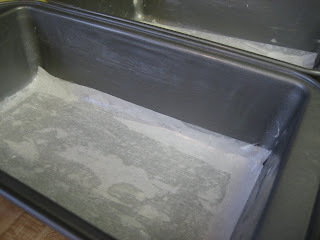 Prepare your loaf pans by buttering and placing a piece of buttered parchment paper at the bottom to ensure that the loaf will not stick in the final baking stage. 2. In a saucepan, heat milk, butter and sugar. 3. Let cool till just warm. 4. Add beaten eggs and blend to incorporate. 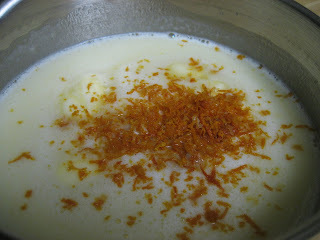 Add flavorings lemon/orange zest, rum/vanilla. 5. 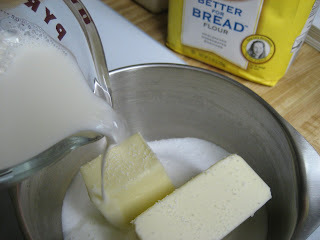 In mixer bowl, add 2 cups flour and instant yeast. 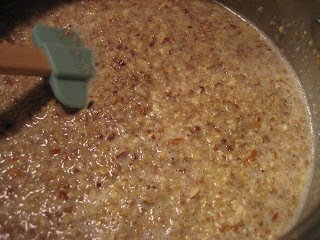 Mix to incorporate the yeast into the flour. Add the wet ingredients and knead for 3 minutes on medium speed. 6. 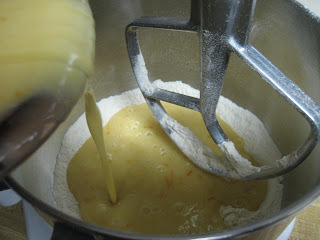 Add rest of flour and knead for an additional 7 minutes using a dough hook. Cover with plastic wrap and let rise till almost doubled... in a warm environment. I usually let mine rise in a warm oven. this can usually take from 1 1/2- 2 hours or so....keep in mind to let it rise to almost double in size. 7. 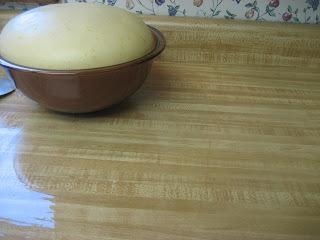 Oil your counter space and plop the dough onto it. 8. Cut the dough in half to yield two equal parts. 9. Roll one part into a large rectangle( 11x14 approximate) and spread nut filling to within 1/2 inch of the edge. 10. Roll dough in pinwheel fashion....I now, just braid the dough. 11. Place rolled loaf in prepared pan and repeat with the remaining loaf. Brush the top of the loaves with a beaten egg. 12. Let rise in a warm oven till the dough reaches the top of the pan...approx 40 minutes or so...this definitely depends on how warm or cold your house is. You don't want it to over rise as it will deflate in the final baking stage from all the heavy filling. 13. Bake in a preheated 375 deg. oven for 10-12 minutes , then place a sheet of aluminum foil lightly covering the tops. They will over brown and burn if you don't do this. Bake for an additional 30-35 minutes...or until nicely golden brown all over. Let cozonac cool down a bit in the pan and then remove from pans... you can lay the cozonac on its side* to cool completely.... and switch from side to side. 14. Sprinkle with powdered sugar....totally optional. 15. Cool completely and wrap well in plastic wrap and place in a freezer bag. Freeze the loaves. Or you can cut a few slices and eat it warm:)! I remember eating this delicious sweet bread in Romania! I was so happy I found the recipe on your blog. I made Cozonac for the Culinary around the World event I particpated in using your recipe and linked it back to your blog. Thanks for sharing the recipe. My family LOVED it and I will definitely make it again. Thanks for the very nice comments! I am so glad that the recipes worked for you....isn't it nice to be able to share our recipes?! 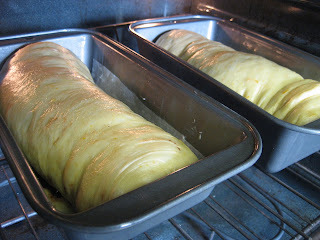 Just stumbled over your blog, because I'm trying to make "cozonac" for Easter. One question: what flour is best, if you buy in the US? All-purpose or cake flower? They have different protein levels and I think they behave somewhat differently. Thank you! The pics look amazing. Monica, I use all purpose flour and sometimes use bread flour,depending on what I have on hand. I never use cake flour for this type of recipe... You want to have a higher protein flour so that it will withstand the amount of filling. I love this recipe! I found it because I am currently trying to learn the Romanian language and was searching for more information about the culture. I had never made bread before in my life (and I only started cooking about two months ago), but this came out so delicious! Thank you so much for this recipe! I tried the cozonac when it was cold, but I think that I like it much more when it is warm and will continue to eat it that way. Thanks so much for your comment. It is wonderful that it came out for you...wow, and you have just started cooking! I am really glad that you liked it. but have you ever tried part whole wheat? is this something with which you are familiar? Sorry, it has taken so long to answer. I have been out of the country for some time and haven't had the time to post anything or even respond. I was excited to read a bit about your daughter and was touched with your love for her. Was even more excited that you are a Christian. 1. Adding chocolate/cocoa to the filling is common...though you see more of the ones without. 2. Also, the lokum is also popular...you just dice the turkish delights in small pieces and sprinkle them on the dough before rolling it up. You can make the turkish delight at home or use store bought. I am sure there are some great recipes on the internet. 3.You could use King' Arthur flour but any bread flour would work. 4. I highly recommend using the instant yeast...if you can't find it, you can also use the rapid rise version found in small packets. 5. Using whole wheat is not traditional. I have not used it...but,if you want to bring in the whole grains, you can definitely do so. That is what is so neat about cooking at home...you can tweak your recipe to your liking. I would recommend only substituting about 1/3 of the flour with the whole wheat, otherwise, it would be too dense and it would not rise too much. I hope that helps, and I am happy for you that you were able to bring your daughter into a loving home. God bless you for that! HI! I'm a Romanian living in Germany, i stumbled over your blog while looking for instructions on Cozonac baking. Really appreciated your step by step details and tips, this makes life much easier. I hope my kids will enjoy it. Happy season greetings! I am so happy you have converted this wonderful comfort food recipe to a N American recipe (ie. cups, regular flour and oven temperature).This is my first time making it for my famiy. My mom doesn't make it, and I left Romania when I was 12, so I was afraid I would never be able to make it. All the other recipes I've come across are cumbersome to use. Wish me luck! 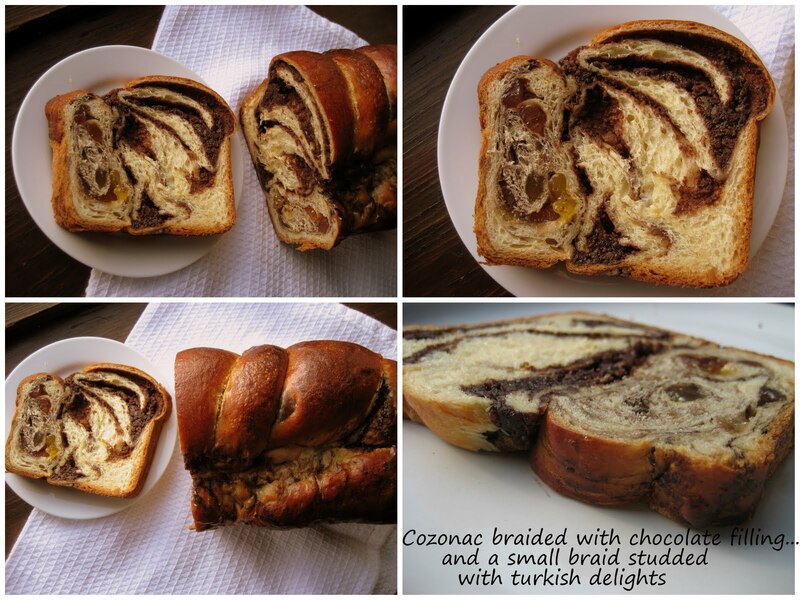 Thank you so much for posting your Romanian Cozonac recipe. My husband is Romanian but has been living in the US for 40 years. He says your recipe is the most authentic he's every had, second only to what his grandmother used to make! It is true that kneading the dough for 12-15 min is a good idea. I've had success every time I've used your recipe. It's very clear and easy to follow..love the pictures too! I am having my Romanian daughter-in-law over for Christmas dinner. I am so excited to make your bread. I wanted to make something special for her because it is her birthday (Christmas Day) as well. Thank you for posting this, I have been struggling to make cozonac using Romanian measurements for a long time. thank you very much for the recipe. It came out tasting great!!! one problem i had was that while it was baking a fair amount of the filling came out. i am not sure what i did wrong...do you have any suggestions to help me? Hmmm, I am not sure why a fair amount of filling fell out. 2. Also, you might want to seal the side edges of the rolled cozonac. 3. Another reason might be that you rolled the dough too thin and the top swirl layer can break as it bakes and some of the filling might leak out...though the filling shouldn't be runny. But, that would only be a problem for the top swirl layer. Everything else should stay within the cozonac. 4. As I am writing this, I am also thinking that maybe the filling wasn't cooked long enough...maybe it was a bit more on the watery side? The filling should be a paste-like consistency, when cooled. How would you make a cozonac with only chocolate in it due to nut allergies? If you have a nut allergy, you can probably replace the nuts with some chocolate chips. I have never made it without the nuts, so what I am suggesting, I have not tried before. Having said that, I think you can replace some of the nuts with some chocolate chips. You probably would not want to use more than 1 cup of chips. You can cook the filling.... milk sugar and cocoa until it thickens. 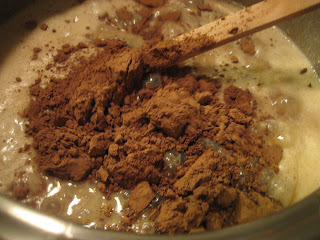 (10 -15 minutes) You can then add some chocolate. I would start out with about 1/2 cup. It should thicken even more. 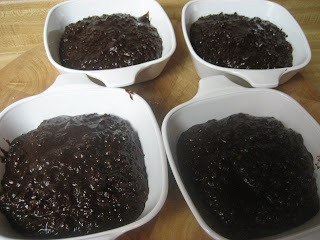 If you feel the consistency is too watery, add a bit more chocolate, not too much(maybe 1/4 cup). Let the filling cool completely. It should be spreadable and thicker. 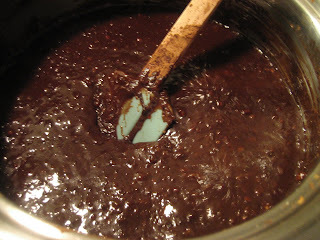 Another option is to make a ganache filling(basically cream with chocolate) and then just add the flavoring. Having said ALL this...I have to mention that the if the filling is too heavy, the cozonac can fall. So, try to spread the filling thinly....sort of like making cinnamon rolls. Thank you so much Ellie, I'll let you know how it turns out. Look forward to playing around with the recipe! PS. Would you have a recipe for ciorba? Madeinbelgium, Have fun with the cozonac recipe! Make sure you look at my revised version as well. It has a few more tips. Ellie, I thought that maybe you had one in your repetoire of Roumanian recipes. Ciorba de periciore (I am spelling it quasi phonetically) would be great. Multumesc pentru receta de cozonac! I wanted to make a traditional sweet for Easter and this is perfect! Love the way it looks and the step by step is extrememely helpful! Thank you so so much for this recipe. I was so discouraged before finding your blog. My cozonac recipe (original from my Romanian grandmother) called for yeast cake....that I couldn't find anywhere...thank goodness your recipe has instant yeast. We are going to have a great Easter thanks to you!!! God Bless you and Happy Easter!!! Oh, arata minunat!!! Am nevoie de cineva care sa il faca pentru mine... Dar poate incerc cand am mai multa energie... Multumesc de reteta. I am very excited to make this cozonac bread for our christmas dinner. I am a filipina,my husband is a romanian and my friends want me to prepare something different that they never tried, that's why i will try making this special bread.Looks really yummy and that is my husbands' favorite. Sol, Thanks for stopping by...I sure hope you like it! Do check the revised version for more info...better photos:) and better technique. I actually prefer the braiding method. It is especially nice of you to try making this for your family. Have a great Christmas! Hi Ellie, I just finished mixing my dough and ready to bake my first Cozonac bread, So exited on how it will come out.Actually my husband is helping me. I'll let you know how my bread came out.Thank you! HAVE A MERRY CHRISTMAS AND A PROSPEROUS NEW YEAR! Hi Sol, I'm excited to hear how your cozonac came out. Love how your husband is helping:)...hopefully, it will turn out alright:). Ellie, my mom and I are trying this for the very first time for Christmas. As we speak, we are waiting for the dough to rise. I wonder how long it typically takes you? I'm finding the dough a bit thick/heavy. Not rising very quickly. Any suggestions for next time? We followed your recipe step by step. Thanks for sharing!!! If your liquid(milk, butter, sugar and eggs)is too cold( less than 110 degs.) when adding it to the flour... the dough might take a lot longer to rise. Also, I am not sure what yeast you used... but I use instant yeast which speeds things up a bit. Hopefully, it was still viable? The rising time can vary ... I am guessing maybe an hour to 1 1/2 hours. It is very important to have the dough rise in a WARM environment. I usually just warm my oven for a few seconds and then place the dough to rise there... free from drafts. The outcome of my first attempt for my Cozonac bread was great! It was a big heat to everyone.My friends really liked it.Thank you so much for your recipe it helped me alot. And everyone said it's really delicious! Thank you and Hoping for more recipes to come....Blessings to your family!....Te Sarut! Wonderful, Sol! So very glad to hear that the cozonac came out for you and that your friends enjoyed it. I am proud of you. Romanian food isn't necessarily the easiest to prepare...so, great job! La Multi Ani tie si intreaga familie! Jane, I am so glad you like the Cozonac recipe...glad I could be of help:). I am sure the cozonac from Romania are a bit different... everyone has their own recipes. But I am glad you enjoyed it! Thank you for stopping by and sharing your feedback...means a great deal! I have been making this every Christmas and Easter ( and sometimes in between) since 2009 when I discovered your site. I have to thank you again. I send warm thoughts your way....Cozonacul e ca cel facut de mamaia in Teleorman. Multumesc. Oh, Mihaela ...You simply made my day!...Your comment means SO much. What a joy it is to hear that you like the cozonac... as much as we do:). Thank you so much for taking the time to write and let me know your feedback. Ma bucur ca cozonacul iti aduce aminte de mamaia ta... It doresc tie si intreaga familie un Craciun fericit! Hi there - I'm getting ready to make this cozonac today to take to my parents' house tomorrow for Christmas. I'm going to also make one with turkish delight or Liberty Orcharts Fruit Delights since that was my fave when I was little. Thanks so much for your blog, it's great! I'd be lost if you took the cozonac down. It was a bit hit last year. Anon, You have no idea how much your comment means to me:)! I SO appreciate you taking the time to let me know that you enjoy the cozonac recipe. So happy it was well received last year! Good morning. I recently made Hungarian kuglopf - a nod to childhhod memories of my Hungarian grandmother. My parents - both Romanian - pronounced it a huge success but it made them homesick for cozonac. (They emigrated in the 1950s.) My attempt at your recipe will be on the table for New Year's tomorrow along with sarmale and mamaliga! I've kind of gotten away from these over the years - probably because so few recipes seem to exist in English, with proper cooking times/temps and measurements (e.g. Cook in hot oven until done, lol). Thank you for helping to keep this wonderful ffod culture alive for people like me and others who want to discover Romanian food. Happy New Year. I'm thrilled that you would like to have a full-fledged Romanian Dinner for the New Year... I recently made some homemade sausages:), a typical Romanian addition to any meal:). I'm hoping you will enjoy the cozonac...and if you've made the Hungarian kuglopf, you should have very little problems... as the cozonac is very similar. Hello Ellie. I just wanted to say thank you for all the work you put into your blog. The recipes are delicious and so easy to follow. The pictures of every step REALLY help. I knew exactly what the Cozonac dough should look like at every stage. I made the cozonac for my mother-in-law for Christmas and she ate one whole loaf in a few days. I even got brave and made the Brazilian cheese balls and they were a hit with my husband. Serious arm workout if you don't have a kitchen aid! But well worth it. Alina, THANK YOU! I really appreciate you taking the time to stop by and write such kind words. 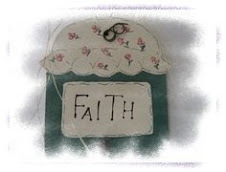 I'm thrilled the blog is of help to you... I, personally, do so much better when I see step-by-step photos of a recipe. And even though taking the photos is a bit of work for me, I do want those trying out the recipe to see what I have done so that they can replicate it at home themselves. I was happy to hear that you tried the cozonac recipe:)...and that it was enjoyed! Oh, Abby... you simply made my day! I'm so happy to know I've been of help through the pictures.. sometimes I think I overdo it:)! But, I'm thrilled you made the cozonac for your husband... I am sure it was extra special for him, and super-sweet of you to bring back those wonderful memories for him. Glad it was a success:)! Thanks so much for taking the time to share your feedback... really means a lot to me! I love knowing that others are enjoying this recipe as much as we are:). Thankful for your sweet and kind comment. Have a great day! A big 'hi' and 'pace' from down under! Thank you for your cozonac recipe - my daughter and I made a double batch before Resurrection Sunday - 2 filled with your wonderful walnut filling and 2 with mac. I have made cozonac only twice before, and have to say that this recipe turned out the best. I'm Romanian, born in Serbia, and have lived most of my life in Australia. 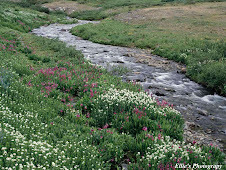 I had the wonderful privilege of driving through beautiful Montana many years ago - God's creation is magnificent! 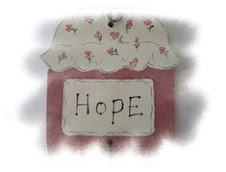 Thank you for your lovely inspiring blog. Hristos a inviat! Anon, Pace! Glad to hear from you... and am thrilled you enjoyed the cozonac. I'm always happy to hear the cozonac is a success to others:)... as my purpose in posting the recipe here( probably too detailed and too busy in verbiage:)) was to help and inspire others to make it at home and enjoy it with loved ones. But thanks so much for taking the time to write and share your feedback. I really appreciate it. I was thrilled to hear that you enjoyed the recipe. Glad you were able to visit Montana... God's beauty never ceases to amaze me! I would love to one day make it to Australia , myself:). Intradevar, Hristos a inviat! ... ce mare har sa fim a Lui! I just start working on my cozonac. This in my firt time making it. Hope it come out yumiii. Wow i had to do this for a school project and made it for the class and they loved it! Thank you so much for sharing this!!! Anon. That's wonderful! So glad the cozonac was a success for you ... and that the class enjoyed it( that's always a plus:)). That sure was a project:)! Thanks so much for taking the time to stop and comment... and letting me know how it went for you. Your feedback is greatly appreciated! Thank you so much for taking the time to share this cozonac recipe. I have been looking for a recipe to match my grandmother's and have not been able to do so. I am very much looking forward to seeing what other Romanian recipes you have on your blog. Andrea, Oh, you are very welcome! I am not going to promise that the cozonac will be like your grandmother's ... because, well, you know, grandmother's have that special touch and love that goes into their baking:). But I sure hope you enjoy it... at least a little bit anyway. And do enjoy your visit here... hopefully you can find another recipe you might want to try. I sure appreciate you stopping by and taking the time to comment. Hi Ellie, Happy New Year! I'd been afraid to make cozonac for a long time, because I'm not so good with dough. For Christmas, I made a chocolate swirl bundt cake (Emeril's recipe), because when you cut it, it looks like the cozonac with cocoa swirls :) I figured I would try cozonac on a regular day when the pressure to get it right wouldn't be so high... but it was your featured recipe and I saw it all week when checking out your blog for putting together the Christmas menu. So finally, I decided I would make it for New Year's. All your tips, revisions, photos and detailed steps were so, so helpful. Thanks for taking the time to share this special recipe with others! 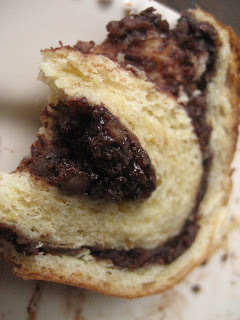 I've tried different kinds of cozonac during holidays with my in-laws, and my favorite was the cocoa swirl with nuts. So happy that's what you show here! I over-baked mine a bit - I left it longer than you said because the filling that bubbled out of the top still looked wet - and the bottoms were too crispy. I also didn't grind the walnuts the whole way because usually I like walnut chunks. Next time, I'll grind the walnuts more and leave the loaves in the oven for less. But I'm glad I tried making it and got off to a good start. It was still yummy with coffee this morning! New Year's blessings to you and your family! Haseena, Oh, you don't know how much it means to me that you tried the cozonac! I'm really touched that I was able to inspire you to make it. I'll be honest, it took me years to work with yeasted dough and then to be finally comfortable with it. And even now, I have my moments in the kitchen where I feel everything is a failure and nothing seems to come out right. But I've learned that I have to accept those moments to .... it humbles me:). And in actuality these "failures" help me to feel with others that may also be struggling with cooking/baking. 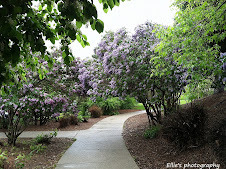 I think that's why I take step-by-step photos and write lots of tips and notes:). Maybe it's overload, but my desire is to help my readers to have success. In any case, I'm rambling on , but I truly appreciate you sharing your feedback, that you enjoyed the cozonac... and that you are willing to try it again:). Wishing you God's wonderful blessings to you and your family this New Year! My born-and-raised ROM husband said I scored 10/10 on this one... I just followed your recipe lol!! I had been wanting to try this one for years and felt too intimidated since i dont have a wondrous mixer, but tried it by hand and it was not that bad! For some reason I had to add like half a cup or a little more extra flour and also bake it for like 12-14 more minutes, but it came out stunning (I braided it) and just a tad gooey and soft in the middle which is my favorite part!! I also sprinkled granulated sugar on after wiping the top with egg right before the second raise, and my husband requested that I again wipe the tops with egg whites only after they came out to give them a glazed look, he said "that's how my grandpa always made it" and he was right, they looked completed! May try throwing in a few raisins next time, but I'm afraid it might get too heavy... Do you think I should substitute them for a bit of the nut filling or just keep the same amount of filling and just not go overboard with raisins?? MULTAMESC draga lol! God bless from our home to yours! Katie, Thank you so much for your kind and sweet comment. It simply made my day!! Thank you for taking the time to write and share your feedback, it means a ton to me that you actually tried the recipe and enjoyed it:)... even better that your husband approved it! Am sure you made your husband proud:). As for adding raisins, I think you are on the right track... you can add a few in the filling.... Just don't add too, too many. If you want, you can add maybe 3/4 of the nut filling(reserve the 1/4 in the freezer for another use) and then add some raisins. But you can maybe also get away with adding some raisins in the actual dough, as you knead it towards the end. But Katie, I really appreciate your thoughtful words.. and for following along. So glad I could be of help. It means the world to me:). Thanks so much for sharing this recipe - it was AMAZING and SO well written and easy to follow! I've never baked anything in my entire life, but wanted to have cozonac for Easter and was pretty much terrified of having to make it...(since everyone says it's so hard to make! ), but by following your great instructions it turned out PERFECT!! Everyone I've shared it with loves it, and it's been all around a huge success, and now all my friends are asking for the link to your great food blog:). So thank you again! Alex, Oh, that's wonderful!! Thank you so much for taking the time to write and share your feedback. I really appreciate it! It's kind comments like yours that simply make my day... so, thank you. I'm really happy that you had success with the cozonac and that I could be of help through the detailed post. Sometimes I think I overdo the amount of details... but glad, that in your case, it was of help:). I'm really proud of you though... especially since it was your first try. I'm simply amazed:)! Good for you! Thank you also for sharing the blog with your friends... means a ton, and I'm humbled. Cami, Oh, that just makes my day:)! It's just so nice to hear that you liked the cozonac... and adjusted the recipe to get it just right. But I have to agree, if you have a heavy duty mixer, it really does the job for you! Literally. It then becomes another bread recipe that can be made not only on Christmas or Easter, but any day we have a craving for cozonac:). Thank you for sharing your feedback and letting me know. I really appreciate it... even more so that you tried the recipe and had a great result:)! Yay! Anon, Thank you! So glad you stopped by. Wish I knew who you were:). In any case, I hope this recipe works for you and that your nutrition class enjoys it. Hopefully the calories won't deter others from eating it:). Thanks so much for taking the time to comment, I appreciate it! This cracked me up: four loaves! My husband loves to eat cozonaci, so we take out all our pans and have a full day of it, ending up with over 40 loaves. His job is the actual baking, and my job is making sure he has enough pans and enough space. Looking forward to making it (and eating it!) again this Christmastide. Glad you and your husband enjoy making cozonac together... that's half the fun. Of course eating the fruit of your labor is the other half:). Thanks for stopping by... have a Merry Christmas! Thank you so much for this recipe. I spent two years in the Peace Corps in Romania and ended up losing the recipe that was given to me by my adoptive bunica in my village. Your recipe is nearly identical. This is my second year making it for Christmas and it brings back so many happy memories of Christmas time in Romania. Thank you. Chris, You are most welcome! SO glad I could be of help... glad to hear you got the chance to experience Romania... Thank you for your service. I just made 2 loaves of this bread. My best friend is from Romania and will be having Christmas Eve dinner with us tomorrow and I wanted to give her something from home. They look beautiful, we will see how they taste tomorrow! Thanks for all the helpful photos and step by step instructions. Lorene, Aww, that's sweet of you to make the cozonac for your b. friend:)... I sure hope she'll enjoy it! Glad you tried the cozonac. And you are most welcome for the recipe... so glad I could be of help! Have a most wonderful Christmas with your loved ones! My friend was so thrilled with the cozonac! She told all her family and Romanian friends what she received for Christmas. She also insisted I keep a large slice, and it was amazing! I will be making this again for her and me!! Lorene, That's awesome!! You simply made my day:)... so thrilled to hear your friend liked her cozonac gift. And how sweet of her to share some with you... that's true friendship! Thanks a bunch for stopping by again and sharing your story:). Really appreciate it! I just baked your bread recipe and I gave some to friends. They LOVE, LOVE, LOVE it! Thank you for the recipe and the detailed directions and pictures! Janet, You are most welcome. So glad to hear it was a success and that everyone enjoyed the cozonac:)... That's just wonderful! Thanks a ton for the feedback... it made my day:)! Thank you for sharing this beautiful recipe for cozonac! 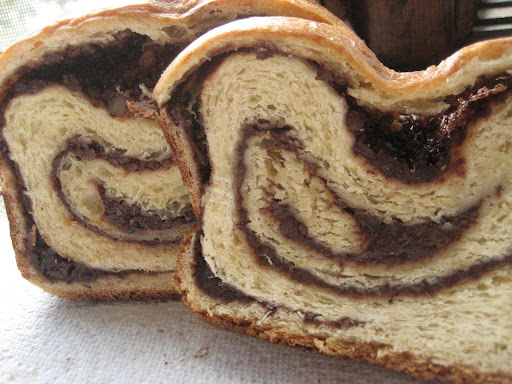 I've been making babka, but it's not the same as cozonac! Can't wait to try it! How do you think this recipe would come out if we used gluten-free flour? Anon, Hmmm... I don't think you'd have very good success. If you'd be planning to just substitute the wheat flour for GF flour and adjust nothing else, it would not do well. I'm sure you can make a GF bread recipe... and add some filling to it... but it would never be the same as a gluten version. 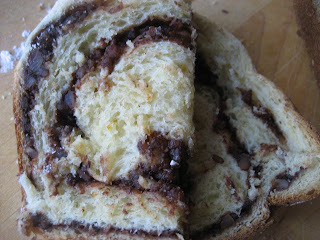 But here is a link to a GF babka that s somewhat similar... nothing like the cozonac, but it's worth a try. Jeff, Oh, that's awesome! So thrilled to hear you took the cozonac challenge:). It just makes my day to hear from readers who try a recipe I've posted... and the cozonac isn't an easy one:). Glad to hear you had success with the baking project ... and to have another Romanian give it a thumbs up... well, that's just wonderful! Happy for you:). Thanks a million for stopping by and sharing your feedback. Really appreciate it! Dear Ellie, I am very grateful for the way you tediously explained your cozonac recipe. My husband is Romanian, and he loves cozonac :) He always told me that his mum makes the ones with walnuts only. I realize you mentioned about it with egg whites. Do you mind telling me how to make cozonac strictly with the walnuts? Thank you very much and God bless! Anon, Thanks a bunch for your kind words! The walnut filling without cacao can be done in a few ways... you can make the filling I've posted and omit the cacao, cooking it longer so that the filling becomes a paste and fold in some beaten egg whites(about 2-3) to lighten it after the filling has cooled. Another version is to simply beat up egg whites till soft peaks then add sugar to taste. 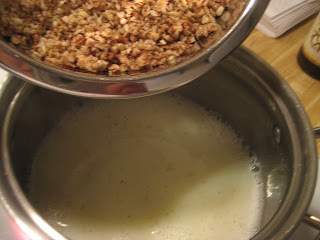 Finely ground walnuts are added until mixture is thick enough to spread... flavorings of choice can be added as well, be it vanilla, rum, or grated citrus peel. Now, I usually don't measure amounts and I always add sugar to taste. But a safe measurement by the"book" is equal amounts of sugar and walnuts added to beaten egg white. So for about 3 beaten egg whites you'll most likely need about 200 grams of sugar and 200 grams of finely ground walnuts... along with flavorings of choice. I think that should do it for 2 loaves. If you feel it's not enough filling you can do another small batch with an extra egg white. Now, I like to add the sugar to taste and increase my walnuts. But adjust to your own preference... start with a smaller amount of sugar this way you can add more sugar at the end if needed. Hope that helps... and enjoy:)! Dear Ellie thank you very much for your meticulous answer and for your time:) I am looking forward to make cozonak for Christmas. God bless you and your family! Thanks for your tips!! I live in Utah and my husband is Romanian. I have a good recipe but I always have holes in the top. I finally thought after making it for the last 10 years I would see if anyone else had the same problem as me! Happy to see your post! Rebecca, Glad I could be of help... at least from the viewpoint of knowing someone else had the same problem with "tunnels":)... Braiding the dough helps a lot with that. Enjoy... and have a wonderful Christmas! My name is Julie and I live in Calgary, Alberta. My boyfriend is from Constanta, Romania and I have to give your Blog the credit it most deserves for my Romanian cuisine adventure in the past couple of years. I have to mention to you that I am from the Philippines. This is my second year making your cozonac and it has become the center of my Christmas,thanksgiving and Easter baking.Thank you, I look forward to more Romanian cooking! Hi Julie, Your sweet and kind comment brightened my day! Thank you. I'm thrilled to hear the Romanian recipes have been of help to you. Thank you so much for taking the time to write and let me know... it means so much to me, just to know I can be of help through the recipes I post. Julie, I'm real proud of you... to be able to bake the cozonac as a non-Romanian... now, that's simply wonderful! Glad to hear that you've also tried other Romanian recipes:). I'm sure your boyfriend is much appreciative! Wishing you continual success in the kitchen as you keep cooking and baking. Hi Ellie, Happy New Year 2015 !! I'm located in Toronto Canada. Married to my Romanian wife for nearly 10 years and having been a few times to Romania ( Cozonac ) is a special treat that I truly enjoy. I thought I would make at Christmas for my wife. Your explicit directions and tips were excellent. As much as I stayed with the directions my dough came out a little to wet near the end before spreading it out to put it into the pans. The dough raised wonderfully and it actually baked and rose in the oven nicely, the dough slightly fluffy and tasty just the same. Something although went off as due to the wetness of the dough I had to abandon the braided version, it was just soft and wet. I used fresh yeast rather then dry in a 1/4 cup of water, could this possibly have been the issue with my wet dough. John, A happy New Year to you as well! I'm thrilled to hear you tried your hand at baking cozonac... and succeeded:) even though the dough was a bit wet and soft. It's commendable that you kneaded it all by hand! The only thing I can see that might help in the future is to add a bit of extra flour... the extra 1/4 cup of water added to the fresh yeast would definitely need an adjustment in the flour amount. I'm not sure if you used the whole 5 cups of flour, or if you used a bit less. In general, when the dough is too soft to braid, additional flour is needed. You will have to be careful not to add too much flour, as the fluffiness and tenderness of the dough will be somewhat diminished... and you'll get a rather heavy loaf. 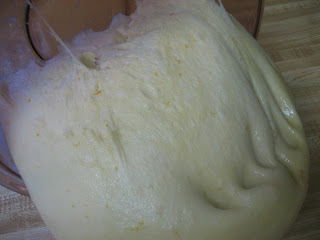 If you are using fresh yeast and adding additional water to bloom, then I'd start adding another 1/4 cup of flour and working up to 1/2 cup... all this depends on the wetness of the dough. 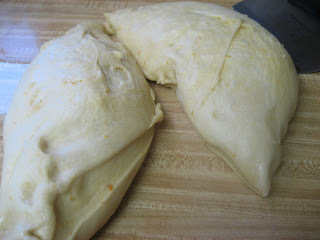 Keep in mind that the dough is generally a sticky dough, so you'll have to work with oiled hands when kneading by hand. But I think you did an wonderful job... and really, all you'll need next time, is a bit of extra flour:)... I'm hoping it will be just perfect. Thanks so much for stopping by and sharing your feedback. I really appreciate it! Monika, So glad to hear you love to bake sweet breads:)... sounds like you have tha love and passion that's needed to produce lovely baked goods:). Coming from Germany, you must know how to bake:)! The plum filled yeast bread sounds delicious. You know, the cozonac filling should be somewhat moist, because you don't want the filling to fall out when you slice the Cozonac. Care should be taken however when you make the filling so it's not too moist and loose... The filling should paste-like. Wishing you success... and that you'll enjoy the cozonac. Thanks for stopping by and sharing. Thank you for the recipe. I am now the Cozonac maker for all my families events. Always comes out good. I usually make the dough the day before put it in the refrigerator and finish the next morning. Matthew, That's wonderful! 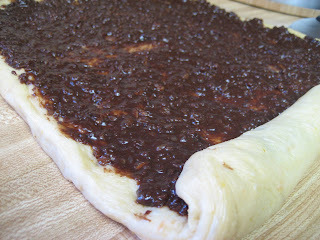 SO glad to hear you enjoy the cozonac recipe... and it's good to hear you can make the dough ahead and refrigerate it. Thanks for sharing your feedback. I really appreciate it... it made my day :)! So thank you for taking the time to write! I just made this for our Christmas Around the World party. It turned out perfectly thanks to you fantastically detail instructions and pics. It turned out just like the cozonac in Bistrita, Romania. Working with yeast is quite intimidating for me. Your instructions made it easy. Yes, it is time consuming but it wasn't difficult. It is hard to find a recipe in English (especially with English measurements). Thank you so much for sharing. Suzanne, Oh, That's so wonderful! Thank you for taking the time to write and brighten my day:)... I am thrilled to hear you enjoyed the cozonac and that I was able to make it a little bit easier with the detailed instructions. Thank you for your compliment, I really appreciate it! More than anything, I am just thrilled to hear that you had success:). It is, and has always been, my scope to encourage and help my readers have success in the kitchen. So your comment lifted my spirits. Thank you. Ellie, are you Romanian, or how did you learn about this wonderful, authentic cozonac recipe? I tried it, and the cozonac came out just like back home in Romania. My compliments for it, really delicious! Thank you for your kind comment. I really appreciate it! Thank you so much for taking the time to write and share your feedback. It's always an honor to hear that a reader of mine has success with the recipes I post. I try my best to provide as many details as possible to ensure the recipe comes out. The cozonac recipe is a trial and error of many attempts:)... so I'm glad to hear it was received well and brought back memories of Romania for you. reteta aceasta de cozonac este foarte buna. am incercat-o si a iesit foarte gustoasa. eu am mai adaugat si nutela peste umplutura, cand a m intins-o peste aluat. eu am o nelamurire, daca tot este asa de bun cozonacul, de ce ti-a venit ideea sa il congelezi? nu pot sa inteleg aceasta ideea a ta!! eu cred ca cel mai bun este sa il mananci proaspat facul, chair si peste zile, tot poti sa il incalzesti putin si este foarte bun! esti o bucatareasa minunata si retetele tale sunt frumoase! Ma bucur ca ai incercat reteta de cozonac... si ca ti-a si placut:)! Sa sti ca ideea de a congela cozonacii(ca reteta face doi) a fost sa nu mancam asa de mult deodata:). Tot ce este facut de casa sta mult mai bine la congelat decat afara... cozonacul se usuca foarte repede ca nu are conservanti. Oricum, pentru mine, am observat ca sta mult mai bine in congelator... si numai zic, ca imi place sa pot scoate of felie ca supriza( pentru sotul meu, sau musafiri)si chiar o luna dupa ce iam facut... si sa incalzesc o felie si sa fie tot asa de buni (parca iam copt in aceia zi:)). Apreciez mult cuvintele tale scumpe:)... si ca te-ai oprit nitel sa ma incurajezi:)! Diana, Oh, that's wonderful to hear! So glad you have it a go:). Thanks a bunch for stopping by and sharing your feedback... love how you adapted the filling to make it yours. Glad to hear you were able to have cozonac for the Christmas season. Wishing you a wonderful Christmas and blessed New Year! Thank u for sharing! I'm making it now. I wonder if it can be frozen raw for future? 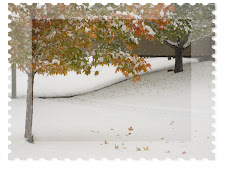 I would dethaw on counter overnight and bake the day of the event. Have you tried doing that? I'm assuming it would taste fresher this way than cooking it, freezing it and then dethawing? Let me know your thoughts. However, it's always worth trying out:)... I would love to know that it works when frozen raw. You never know unless you try... and it might just be what works for you:). You could bake one and freeze one and see the difference... since the recipe makes 2 loaves. Also, another idea is to use the dough and filling and make it as you would cinnamon rolls... just not into loaves. It might work better and be quicker to thaw... Just an idea. Charline, I'm so glad to hear that you've had the opportunity to visit Romania... It made my day to know that you enjoyed the cozonac recipe:). Thank you for stopping by and sharing your version of adding poppy seeds. Sounds delicious! I made cozonac for the first time on Friday, following your detailed recipe. It came out great, so I want to thank you for taking the time to write it up! I know this is an old post, but since it comes up as the first result on Google for [cozonac recipe], it's clearly a popular one. And for good reason. All the pictures and the tips were extremely helpful. I followed the steps closely. I made just a few changes: 1) I used 4 eggs instead of 3 -- my "large" eggs looked a bit small. Also, looking at some old recipe books, they suggest more eggs (amusingly, a recipe book from 1985 asks for 14 egg yolks!). 2) I made two fillings: one with cocoa, one without. First I made it with cocoa, and it looked very, um, intense. So I made another for the second cozonac. In the end they were both good, but the cocoa one was drier. 3) I used less sugar for both dough and filling, about 2/3. We like our sweets less sweet. This turned out to be a small mistake, since your recipe I think is not very sweet to start with. I'm so used to reduce the sugar when making desserts in the US, I forgot this is not a US dessert :). 4) I didn't braid, since I found it a bit daunting. This was also a mistake, since the end result has a "tunnel" on top. You warned, I didn't listen, lesson learned. Tavi, Thanks for taking the time to stop by and write such a sweet comment. I really appreciate it! As for the filling, you can opt to use what's more traditional next time... some beaten egg white, sugar and walnuts. It should do the trick just nicely. 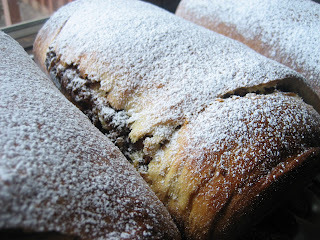 I just make the cocoa, because my husband prefers it that way... and actually it's not far from the chocolate "babka". But I am so glad to hear you enjoyed making the cozonac... and I'm thrilled to have inspired you:). Wishing you a blessed Easter as well! First time making it came out great! Love the sweet bread! Thank you from a fellow Romanian! 5 out of 5! Hey Ellie and a big thanks for posting this recipe. My Romanian boyfriend has been talking about cozonac for some time now, as he misses all the foods from his home. We both live in Finland, I am native Finnish,so Romanian cuisine is not familiar to me, but I will try to tackle this recipe just so I can give my boyfriend a little piece of home away from home. Wish me luck! Anna, You are welcome:)... I sure hope you have success with the cozonac and that your boyfriend enjoys it. I think the cozonac is somewhat similar to the Finnish Nissua bread, so so hopefully it will be a bit similar. Thanks a bunch for stopping by and sharing. Would love to hear that the cozonac to come out for you:)! I love looking for new recipes, for holiday traditional breads from around the world! 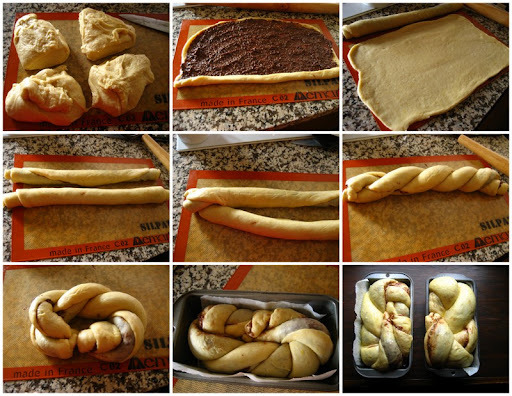 It is very interesting to me, that it is similar to the rosca recipe, I been baking at Christmas time, for my family for many years now! We use nuts on top, and different seasonal candied fruit. Thank you for sharing your tradition, and you can be sure I will bake this! Anon, Thank you so much for stopping by and sharing... and yes, the rosca recipe is a bit similar as it adds rum for flavoring. I agree with you, traditional breads from around the world are always fun to try! I'm hoping you will enjoy this bread as well... have fun baking:). My wife is Romanian and we travel to Bucharest a couple times a year but during the holidays we are mainly stateside. I found this recipe on your site and tried it two years ago and have been making it a few times a year for holidays and special occasions. She absolutely loves it and it takes her back to when she was a kid and makes those times without her family a little easier. So thank you for this and thanks for helping me put a smile on my wife's face! Anon, Thank you so much for your sweet and kind words! I'm so glad to hear that the recipe has brought joy to your wife... It just brightens my day to know the recipe is of help to others. 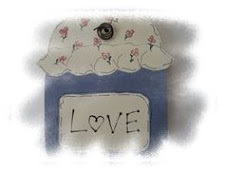 I simply love to hear yourr sweet gesture that brings a small bit of Romania in the home. And thank you for taking the time to share your feedback on the cozonac... it means so much! Have a blessed holiday season with your loved ones. Thank you so much for posting this recipe. I have used it the past 3 years to make Christmas cozanac for my Romanian husband. He said it is by far the best he ever tasted. This year I tried something different based on the recommendation from the wife of one of his friends. I bought a $60 2 lb Oster bread maker from Amazon.com. It worked beautifully for the dough cycle! I took it out after the dough cycle and let it rise for another 30 min in a warm oven. 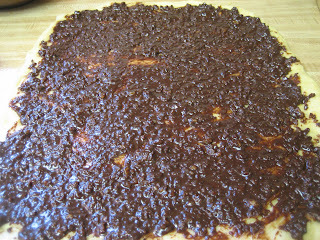 For the filling I used 2 beaten egg whites + 1/2 cup sugar + walnuts + grated chocolate + cocoa + vanilla. It was great and the bread maker took out some of the stress ! Anon, That's wonderful! So glad to hear the bread machine is working for you... I love that you simplified the filling recipe as well:). Now, there's no excuse not to make it more often:). Thank you so much for stopping by and sharing your feedback and kind words. I really appreciate it! It always makes happy to hear that others are enjoying the cozonac recipe as well. Wishing you and your family a blessed Christmas! Hello, the recipe and the instructions are simple. But I do have a question: can I substitute the orange/lemon peel with orange/lemon zest? Trying the recipe this week for Christmas! Thank you! Anon, Lemon/orange zest is what you want to use. Technically it is zest... and I wrote peel. Should be zest:).... enjoy! 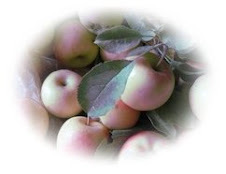 Ellie thank you so much for your wonderful website and recipes. My Mother used to make Cozonac and I remember it being a very laborious process. My Aunties taught her how to make it and I remember well having to knead it out and what hard work it was to make. 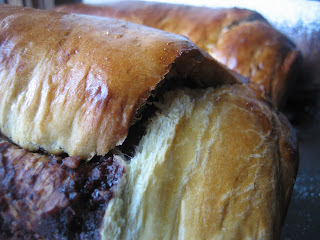 Your recipe is fantastic and my cozonac was a success - thanks to your fantastic instructions and step-by-step guides. I am so thrilled to have made it for Mum and to be able to introduce it to my teenage daughter for the first time. Thank you so much, and may God Bless you and your family. Rose, Oh... you are most welcome! I'm just thrilled to hear that you had success with the cozonac recipe and that you were able to bring back some memories for your Mum and to make a new one with your daughter. Thank you so much for your sweet and kind comment... it brought joy in my heart to know that I was able to be of help to you. It means a ton that you took the time to write... and I greatly appreciate it! May you have a most wonderful Easter with your family... remembering God's blessed gift of Life in Jesus Christ. Hello! I just wanted to thank you for this wonderful recipe. My husband is Romanian, and his grandmother is visiting from Romania for a few months and I wanted to try some traditional recipes. The cozonac was delicious, and my husband's grandmother even took seconds! Thank you for a straight forward recipe and all of the helpful photos and instructions. Thus recipe will now be an Easter tradition in my family. Anon, Awww... thank you so much for taking the time to stop by and share your result. It simply made my day to hear that you could make your husband's grandmother feel at home. I'm sure she was touched! Glad I could be of help and thrilled to hear you had success. Again, thanks so much for letting me know... really appreciate it. Have a great day and enjoy your husband's grandmother while she is visiting. Hello! I tried your recipe today in preparation for our little Christian school's International Food Festival fundraiser. I wanted to attempt saratele and cozonac to add to the salata de vinete and salata de beouf and socata I will be making. Your cozonac turned out absolutely WONDERFUL! The blend of rum, vanilla, citrus, and chocolate are such a hit! It tastes EXACTLY like my mom's and my grandmother's. The whole house smelled amazing and reminded me of my childhood. I used rum extract sent over from Romania (technically made in the Ukraine) because I don't think the American extract is as good. Also, I used all purpose flour and more pecans than walnuts due to what I had on hand. My daughter ate two huge pieces right away and my American husband loved it too and said it would go great with coffee. I will have to try the poppy seed version sometime. This little adventure inspired me to pull out my translated Sanda Marin cookbook and now I'm looking forward to trying more of your recipes! Thank you for posting, the pics, and all the great and helpful hints! Anca, Thank you so much for your sweet comment! SO glad to hear your cozonac was well received:). Sounds like you are providing a VERY well rounded Romanian fundraiser... and socata(! ), now that brought some memories:). Thank you for taking the time to write and share your feedback... I was blessed! Sounds like you are very well prepared in expanding your Romanian recipes... why, with a translated Sanda Marin cookbook you'll have a ton of fun. Enjoy... and wishing you the very best! Thank you for this recipe, love the Cozonac tastes great flavor is on point. However, I will never use bread flour for this recipe again! This loaf needs to be soft and cake like NOT hard and stringy like bread. I’m very disappointed in the outcome. I grew up eating cozonac all my life and I know how it’s supposed to be, texture is important as well as flavor. I tried your recipe years ago where you recommended using all purpose flour and I was very happy with the results back then and will continue using it from now on. Diane, Thank you so much for taking the time to comment... and for your thoughts! I'm pleased that you found the cozonac flavor to be as you liked. I am sorry to hear the bread flour isn't working out for you... all purpose flour doesn't reallly make that much of a difference in the cozonac being cake like. However, if you had better results with using AP flour, then I would definitely continue to use that. The bread flour in my opinion can withstand the larger amount of filling I use. Again, thanks a bunch for stopping by and wishing you success! Thanks Ellie for your great recipe! I'm America, married to a Romanian, living in France. I made cozonac for the first time this Christmas using your recipe and it was a success. I definitely impressed my in-laws ;) We couldn't use the cocoa filling, much as I would have liked to, since I've developed a chocolate allergy, but it was good with the closest thing we could find to rahat here. We got some genuine rahat last time my husband was in Romania, so I have two loaves rising in the oven now for Easter- hopefully they'll come out just as well as the Christmas loaves did! Annie, I am so happy to hear that your Chrismas cozonac loaves were a success! So glad you were able to use some rahat as an alternative to the cocoa filling. It's good with rahat too:) It's so nice to hear that you tried a Romanian dessert for your husband... so sweet of you. Wishing you success with the second batch for Easter... and many more:). Thank you so much for stopping by.... all the way from France, to share your feedback. I really appreciate it Annie! Have a wonderful Easter with you family. Thank you so much for taking the time to post this recipe and your updates to the recipe. I’m a Canadian who has been to Romania many time and fell in love with this bread during Easter there. I think I ate it every day for a week! This is at least the 3rd Christmas that I am making it and have used your recipe every time. The braided loaves are just rising now... God bless you. Anon, Thank you... your comment was a blessing to me! So glad to hear that the cozonac recipe is still being used:). Thank you so much for taking the time to let me know... even when I am not blogging any more. May God bless you! Have a blessed Christmas!